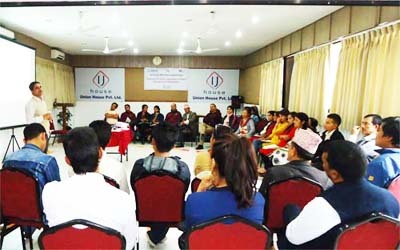 GoGo Foundation organized a day long 'Training to CSO on Internal Governance and Self-Regulation' in Kathmandu on 3rd May 2018. The training aims at developing capacity of CSO representatives on issues of internal governance and self-regulatory practices. 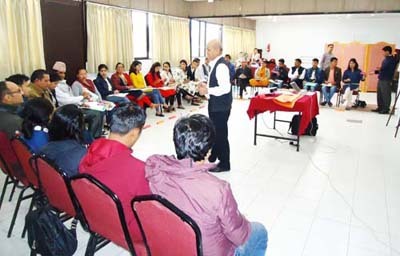 The training supported by FHI 360/USAID through Civil Society Mutual Accountability Project (CS:MAP). Total 32 participants from different CSOs were empowered and sensitized on international standards of internal governance and on how CSOs should shape up themselves in a changed context from transparency and accountability perspectives as well as they gained the knowledge and skill on governance and regulation to maintain the internal governance and self-regulation of their organization.